Quick! Today only, update your nail lacquer stash for spring with a butter LONDON steal this Thursday at Ulta’s 21 Days of Beauty! 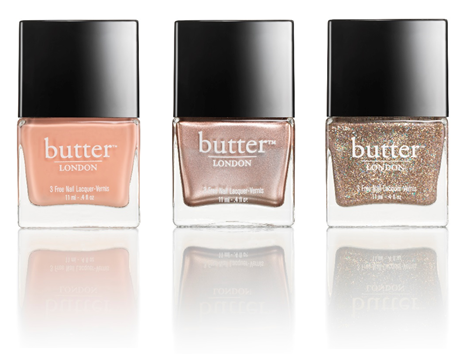 For a limited time (from 10am-9pm on Thursday, March 20th) you can create your own bespoke butter LONDON nail lacquer duo for just $15. Whether you gravitate to neutrals like Teddy Girl and Hen Party or go a bit bold with hues like Cake-Hole and Slapper, the perfect colour pair is waiting for you for half the price. Add some sparkle, go matte or keep it simple – endless possibilities let you to dream up your own chic look. This full-size lacquer steal is available only on Thursday, March 20th at Ulta stores nationwide and online at ulta.com.